The first day in the city was for sightseeing which began with a visit to Akshardham temple following a visit to ISKCON temple. We were mesmerized the beautiful architecture and the carvings in these temples. Later we visited the Sabarmati Ashram, a memorial of Mahatma Gandhi. The museum was remarkable and portrayed different scenes from the life of Mahatma Gandhi and his fight for independence. After visiting these beautiful places we were headed back to the hotel. Finally we had reached IIM and our wit was over. 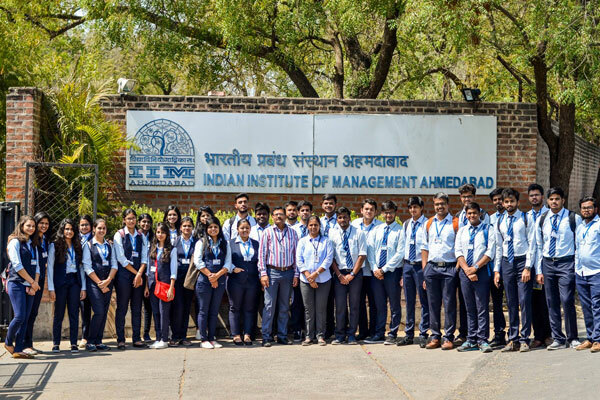 As we entered the campus, we were mesmerized by its beauty and architecture and it was the premier institute of India for management. 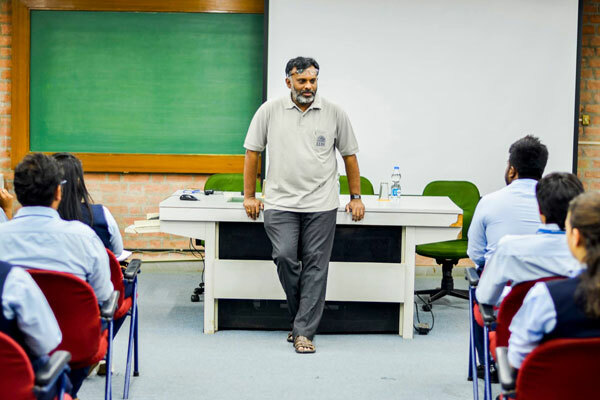 We first had a lecture session planned by Prof. Biju Varkkey who is a professor at IIM. 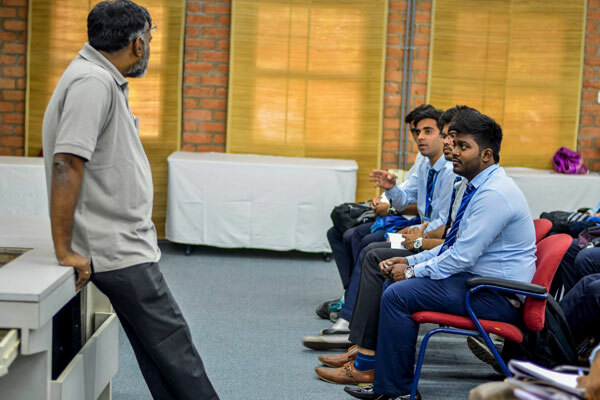 He informed us about the various courses which IIM offered and also told us about the various methods of teaching and curriculum adopted by IIM. We them had a questions and answers session with him where he answered to all our queries. Later we had a campus tour which was amazing and at the same time very huge. 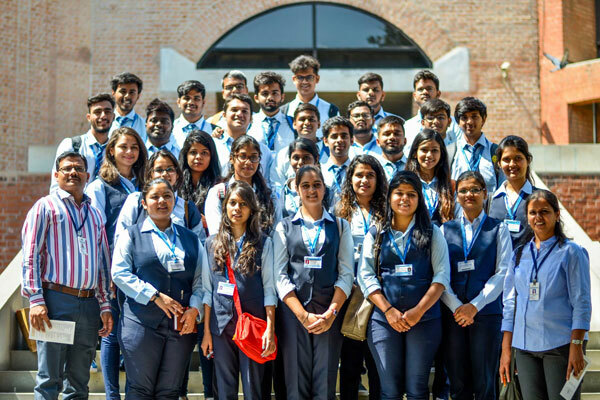 We then had lunch in the IIM canteen and were then headed off to visit Entrepreneurship Development Institute of India (EDII). 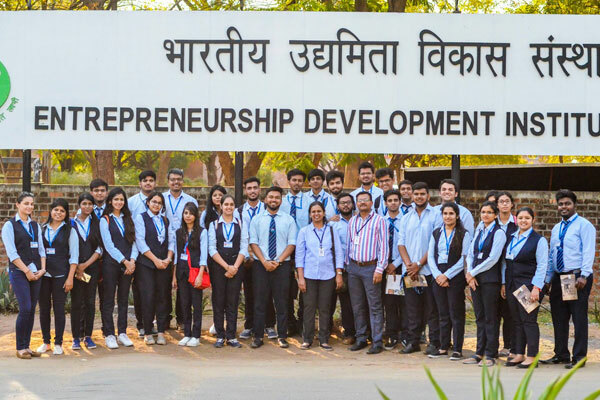 EDII is only institute of its kind in India to provide post graduate courses in entrepreneurship. 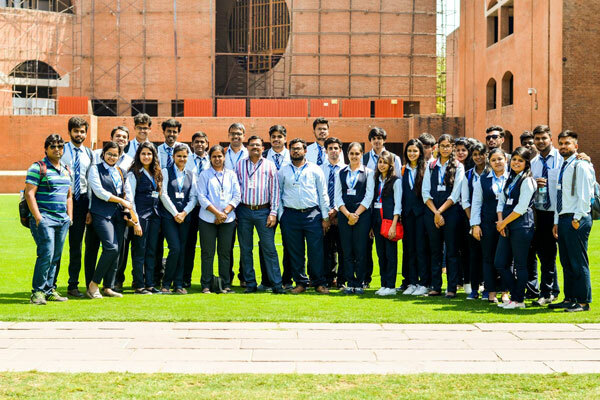 We had a campus tour followed by a lecture by Dr. Satya Acharya. 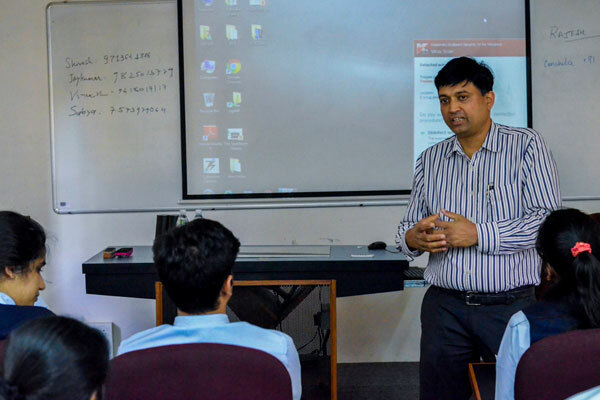 He explained us about how the institute helps students gain entrepreneurship skills and the way it works. It was quite an interesting lecture and the students were intrigued by him. 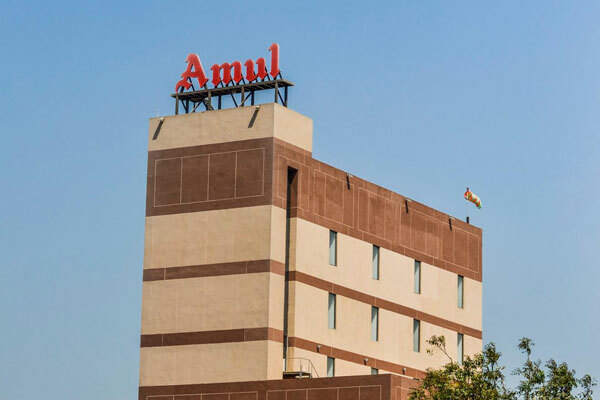 We finally reached Amul factory and were very anxious to go inside. It was quite hot there so to beat the heat we had some Amul ice cream and it was delicious. We then went inside the auditorium where a short film on how Amul was started and why it was started and how it functions. Overall it was a wonderful experience.